We encounter a lot of sports injuries in our Corvallis office, and Dr. Lach is often able to help these athletes. Stanford Children’s Hospital states that over 3.5 million children of the ages 14 and younger are hurt each year when playing sports. Add that to the close to 2 million adults injured every year while taking part in sports-related activities, according to statistics collected by the U.S. Department of Health & Human Services, and you can start to see the necessity of minimizing these types of widespread injuries. One way to potentially realize that goal, as stated in a study released in BMC Musculoskeletal Disorders, is to engage in routine chiropractic treatments. In Australian Rules football, hamstring and other leg traumas are common, frequently sidelining the players and affecting their team's odds of securing a win. One specific study was conducted using 59 semi-elite Australian Rules footballers to see how well chiropractic could cut down on these injuries and help keep them in the game. For this study specifically, all of the participants was given medical treatment. In addition, half of them also received chiropractic sessions at the rate of 1 treatment per week for the first six weeks, biweekly sessions for the following three months, and one treatment a month for the remaining three months of the study. The remaining half were given no chiropractic intervention whatsoever and were used as the control group to assess the benefits of chiropractic. After twenty-four matches, specialists reported a diminished amount of lower limb muscle strains in the group that had received chiropractic care. Furthermore, that very group also missed fewer matches connected to non-contact knee injuries. This lead the researchers to conclude that chiropractic should be added to sports training programs to effectively lessen the quantity of leg injuries. If you or your child are active in sports and you want to make sure greater time is dedicated on the field as opposed to on the bench, call our Corvallis office at (541) 754-1947 and make an appointment today. We will do our best to keep you in the game! We work with many back pain patients in our Corvallis chiropractic office, and Dr. Lach and our staff uses a variety of techniques to help get you out of pain and restore your spine's normal, healthy function. We find spinal decompression to be an effective approach. 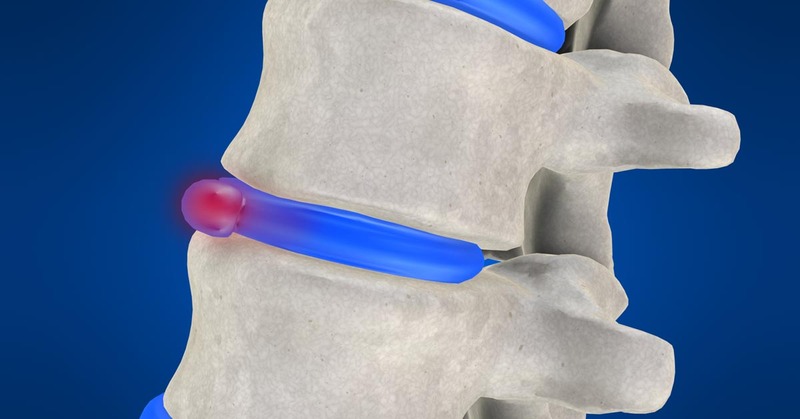 To help you better understand spinal decompression therapy, think of the discs in your spine like small balloons filled with jelly. When you compress them (which occurs due to normal living, sustaining an injury, or other medical conditions), they can protrude, placing pressure on the nerves in your spine. This affects your brain's ability to communicate with tissues in the rest of your body. If the force on the discs becomes too high, they can herniate or bulge. This reduces the cushion between your vertebrae and can cause pain. The purpose of spinal decompression therapy is to reduce this pressure to help restore your body's function and also reduce your level of pain. Spinal decompression therapy relieves disc pressure through the use of a specially designed table that carefully elongates your spinal column through slow and controlled movements. This lessens the pressure placed on your discs. Some studies show an increase in disc height by as much as 1.3 millimeters after just six weeks of spinal decompression therapy. If you're wondering if spinal decompression therapy could help you feel and perform better, simply call our Corvallis office and schedule an appointment with Dr. Lach today. Your optimal health is our number one goal! According to research, about 2-5 percent of the population will suffer from painful ailments like frozen shoulder syndrome at some time in their lives. That makes shoulder-related pain a common problem and one that Dr. Lach sees in our Corvallis office on a regular basis. By and large, this condition is more prevalent for people in their 40s, 50s, and 60s, and it tends to affect women more frequently than men. While ice, heat, and gentle stretches can often times help alleviate the pain, so too can chiropractic. For instance, a study published in the Journal of Chiropractic Medicine looked at 50 people with frozen shoulder who were given chiropractic care. The length of care varied from 11 days to 51 days, with 28 days being the average. Only one participant reported an improvement of 50 percent or less, so reports like this show just how beneficial chiropractic can be when it comes to decreasing shoulder pain and increasing quality of life. Let Dr. Lach help you ease your pain by contacting our Corvallis office and scheduling your appointment today. Dr. Lach works with many sciatica patients here in our Corvallis office, and quite a few of these individuals were afraid that they might require surgery to eliminate their pain. The most recent research reveals that many people don't require surgery for this prevalent problem, and that chiropractic is more successful at resolving sciatic nerve pain. 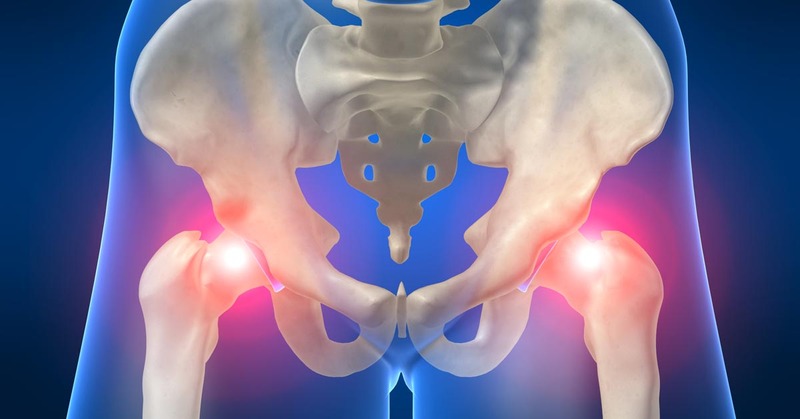 A typical surgery for sciatica is microdiscectomy, and in a 2010 study, physicians looked at 80 patients with sciatica who were referred for this operation. Both groups got better; however, no obvious difference in outcome was reported one year post-treatment between the surgery group and the chiropractic group. Additionally, roughly 60 percent of the participating patients who could not find assistance from any other treatment approach "benefited from spinal manipulation to the same degree as if they underwent surgical intervention." Simply put, chiropractic provided the same positive advantages as surgery without having to endure the higher levels of surgery-based pain or suffer through lengthy recovery times often associated with that particular treatment option. Plus, you also don't run the risks linked to surgical microdiscectomy, such as nerve root damage, bowel or bladder incontinence, bleeding, or infection. Surgery should be the last resort for sciatica pain. If you live in Corvallis and you're experiencing back pain or sciatica, give Dr. Lach a call today at (541) 754-1947. 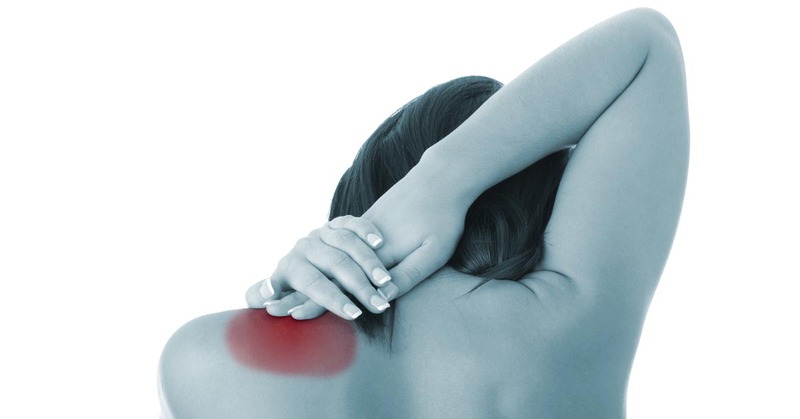 We'll help determine the origin of your pain and work hard to get you relief. While many women automatically assume that back pain and pregnancy go hand in hand, they are often surprised when they discover that this is not necessarily the case. In fact, chiropractic care can often help reduce persistant back pain for pregnant women by as much as 85 percent. Dr. Lach has helped many pregnant women with back pain in our Corvallis office. A research study published in Chiropractic & Manual Therapies involved 115 women who were pregnant (most of which were in their third trimester) and presented with pain in their lower back region, pelvic area, or both. Data was gathered prior to the study, as well as one week, one month, three months, and one year after treatment commenced. At each follow-up, the participants were asked to rate their level of pain based on a 7-point scale to determine whether it was better, worse, or stayed the same. The results? 52% reported that their pain was better after one week of chiropractic treatment. After one month, that amount jumped up to 70 percent, climbing even more to 85 percent showing improvement at the three month mark. Positive effects were still reported at six months post-treatment, which was generally after childbirth, and continued to the final data collection one year after treatment commenced. Furthermore, it makes your time spent carrying your baby more pleasant. When you're not distracted with pain, you can enjoy the experience even more as you prepare your home and your life for all of the fun and exciting changes that lie ahead. We're here in Corvallis to help you have a healthy, pain-free pregnancy. Give us a call today at (541) 754-1947 to make an appointment. According to The American Academy of Pain Medicine, more people in the US suffer with chronic pain than diabetes, coronary heart disease, stroke, and cancer combined. Furthermore, neck pain is the third most documented type of pain, beat out only by back pain and headache. Of course, a lot of people come to our Corvallis office seeking neck pain treatment, and Dr. Lach has helped many of them find relief. This is a smart choice, as some research indicates that over 90% of neck pain patients improve with chiropractic care. A study published in The Journal of Orthopaedic and Sports Physical Therapy included 64 individuals who were suffering with neck problems. Roughly half were placed in an experimental group and the other half were assigned to a comparison group. Both received chiropractic adjustments of the neck as well as a home exercise program, while the experimental group also received thoracic spine adjustments. Data was collected before treatment began and one week after the adjustments. Researchers found that 94 percent of the experimental group claimed "significantly greater improvements" in regard to pain and disability in their neck symptoms. Just 35% of the patients who received neck adjustments showed the same level of improvement, showing that evaluating the entire spinal column is a critical part of restoring the body's normal function. Another study posted in Physical Therapy involved 60 adults who reported dealing with neck pain. Each man or woman was randomly assigned to one of two groups--thoracic spine thrust manipulation or non-thrust manipulation--with follow-up exams occurring two and four days after the adjustments. The investigators found that the study patients who received the thrust manipulations (the same adjustments that offered such positive results in the first study) "experienced greater reductions in disability" than the patients who received the non-thrust manipulations. Their pain was lower as well, which shows that this type of approach offers many benefits. One study found the same kind of positive results after thoracic adjustments in a patient who had a failed neck surgery. This particular case involved a 46-year-old patient who had recently had neck surgery but still suffered with neck pain, headaches, pain in her elbow, and muscle fatigue. The patient documented decreased pain in her neck and lower headache intensity, right after the first chiropractic adjustments. After six weeks of care, which involved chiropractic, exercise, and patient education, the patient still placed her pain at a zero on a scale of 1 to 10. Her neck disability improved as well, with a rating score that represented that it was a "great deal better." It is scientific studies like these that substantiate the effectiveness of chiropractic techniques, even if you've already attempted medical procedures that didn't provide relief. So, if you are suffering with neck problems and would like to find a remedy that has a high success rate, try chiropractic. It may just be the relief you're looking for. We're located in Corvallis and Dr. Lach can help you recover from neck pain. Give us a call today at (541) 754-1947. With the Migraine Research Foundation reporting that migraines affect 38 million people in the United States (more than asthma and diabetes put together), it's no surprise that Dr. Lach sees a lot of headache patients in our Corvallis office. Although some people choose to relieve migraine pain with medications, chiropractic care is a fantastic, all-natural approach that often produces positive results. For example, one study published in the Journal of Manipulative and Physiological Therapeutics involved 127 people ranging in age from 10 to 70-years-old who suffered with frequent (at least monthly) headaches. Each subject received up to 16 chiropractic sessions. The patients noted that their headache frequency, duration, and disability two months before the treatments began, during the duration of the sessions (which was two months), and two months post-treatment. What the authors discovered is that chiropractic reduced the frequency, duration, and disability of the migraine pain when compared with the control patients who didn't receive chiropractic. Even better, this allowed them to take less medication for the pain, providing them an all-natural solution for a chronic condition. If you have migraine pain and are looking for help, call Dr. Lach today and request an appointment in our Corvallis chiropractic office. We'll do what we can to help you become pain-free! Advantages like these have been seen to be especially helpful for individuals who suffer with chronic conditions such as arthritis and asthma. Therapeutic massage has also proven advantageous for burn injury patients, people with higher than healthy blood pressure, and women who suffer from premenstrual syndrome. Even preterm infants have shown benefits with massage therapy as they have increased levels of weight gain. To learn more about the massage therapy services we offer in Corvallis, give our office a call today at (541) 754-1947. Knee pain is a common problem for patients in our Corvallis chiropractic practice, and Dr. Lach has happily provided many of these people relief. This is mostly because chiropractic care has been found to help with many forms of knee pain. For instance, some individuals feel pain in and around the knee area due to degenerative arthritis. Research has confirmed that this ailment responds very well to chiropractic--and rather quickly, too. In fact, one paper published in The Journal of the Canadian Chiropractic Association found that people with osteoarthritis in their knees felt considerable pain relief and improved function after just two weeks of chiropractic care. If your knee pain is as a result of a medial meniscus tear, chiropractic could likely help with that as well. One article found that combining chiropractic with soft tissue treatment, rest, ice, and compression on the affected knee helped lower the intensity of the pain. Of course, sometimes a knee replacement surgery is necessary in order to rectify the problem, and if that's the case, chiropractic care can also help improve the outcome. How? Research has shown that patients with low back pain often have less positive outcomes after knee surgery. Therefore, dealing with your back pain through chiropractic prior to having a total knee arthroplasty can help with your post-surgery healing. No matter what your knee issue, Dr. Lach can likely help. Call our Corvallis practice today and find out what we can do for you! We see a lot of people with headaches in our Corvallis office, and Dr. Lach has been able to provide relief for many of them. For that matter, the World Health Organization (WHO) estimates that 50% of all adults have difficulty with some kind of headache problems, so this actually isn’t unexpected. One of the most frequent sorts of headaches that our patients are afflicted with is cervicogenic headache which, thankfully, chiropractic can generally help. A cervicogenic headache is one that starts from problems in the cervical spine. It can easily be attributable to an issue with either the spine itself (primarily, the vertebrae, joints, or discs), or it could be due to a problem in the muscles and tendons of your neck. This dysfunction in your spine can cause squeezing or aggravation of the spinal nerves, which can bring on headache pain. 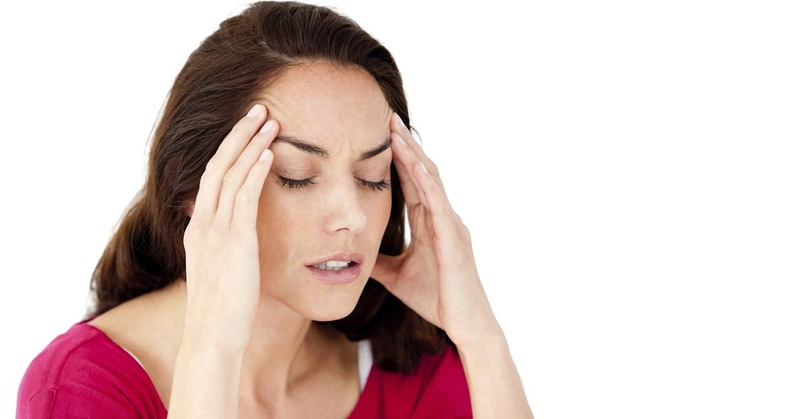 How can you determine if the headache you are feeling is a cervicogenic headache? Other than being given a diagnosis from a healthcare expert, a common symptom of cervicogenic headaches is tenderness or discomfort in your neck. This is sometimes associated with pain in the back of your head or between your shoulder blades. Since cervicogenic headaches will not go away until whatever problem is initiating them is corrected, it is vital to get treatment instead of just trying to "wait it out." Chiropractic care is an excellent solution, and one that provides a great deal of pain relief. In one study released in Chiropractic & Osteopathy, experts followed 80 people who had regular cervicogenic headaches. Half of them got chiropractic care and the other half engaged in light massage therapy. Each participant was examined 12 and 24 weeks after the procedures and it was discovered that chiropractic delivered the most beneficial outcomes. In particular, this study noted that chiropractic adjustments offered patients better pain relief and decreased the number of headaches that occurred. In addition, it also minimized the disability that resulted from these painful headaches. To find out what Dr. Lach can do for you and your headache pain, call us today. We'll do our best to get you the pain relief you need!